JannaFX - Page 2 of 2 - Let's Make FOREX Trading Easy! Let's Make FOREX Trading Easy! Hello everyone! Here are my screenshots for 23d April – Tuesday! EURUSD, AUDUSD, EURGBP I do not see possible entries yet, waiting. If you really like my videos and find them helpful you are welcome to support my effort. Hi, I’m Janna a part time Forex trader! I trade since 2005 for myself and share with everyone my experience! 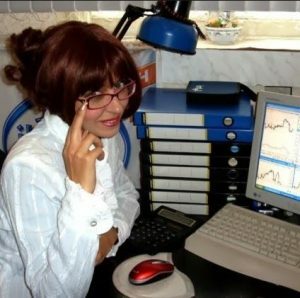 Follow my blog and you will find out that trading Forex is easy! Forex Trading Competition! List of Competitors. Forex Trading Competition With Real Cash Prizes! Weekly Forex Analysis, 8th – 12th April 2019, How To Read My Daily Screenshots, Entry Points! Risk Warning: Forex trading involves significant risk of loss and may not be suitable for everyone. These cookies remember your region or country, language, accessibility options and your settings. This also includes things like your User ID on the signing in page. These cookies help us decide which products, services and offers may be relevant for you. We may use this data to tailor the ads you see on our own and other websites and apps.